Description : Got a problem that is better seen and heard, than just read? Forget about all the chatter in old-fashion message boards or forums. With AskSolvers, just show your photos or your videos. 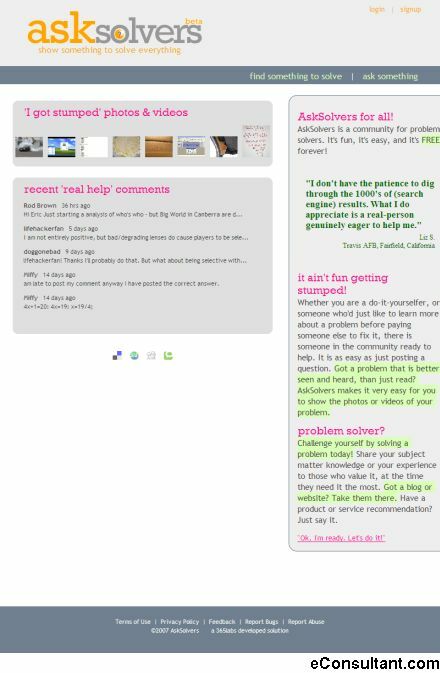 AskSolvers is a community for problem solvers. It’s fun and easy to use.